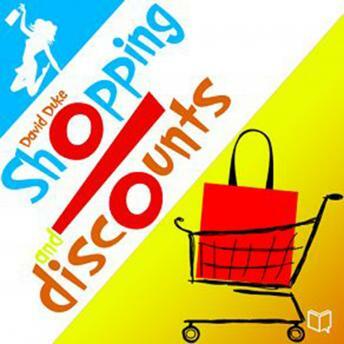 This audiobook is about discounts and how they can help you with saving money. David Duke covers the good, bad and ugly sides of sales deals. You'll get acquainted to why stores offer goods at reduced cost as well as how to see the difference between real bargains and offers that can actually make you lose your hard-earned money.